Τhe seminar organized by EMICERT referring to the European Regulation 2015/757 (EU MRV) on Tuesday, January 31ˢᵗ 2017 was completed with great participation and success. 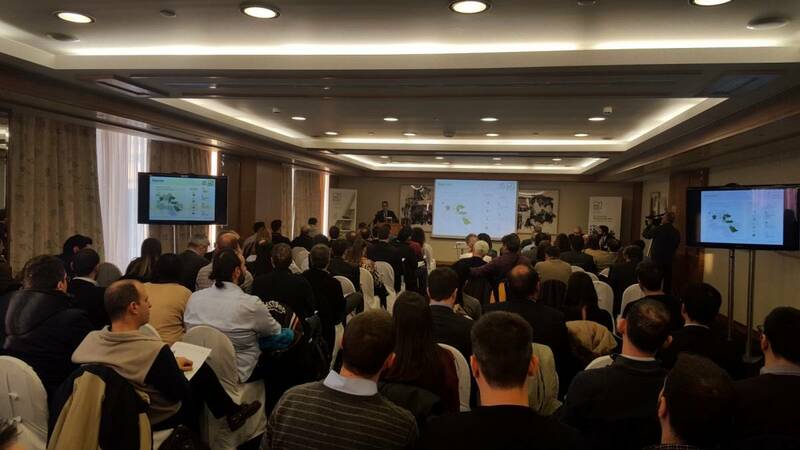 Over 120 executives of shipping companies attended in METROPOLITAN hotel a thorough and comprehensive presentation by Mr. St. Vlachos, Technical Director of EMICERT, which aimed to elucidate and clarify aspects of this new requirement for ships. At the end of the presentation,the participants had the opportunity to ask questions and get technical answers to specific points of the Regulation. At the beginning of the seminar, the official awarding of the EMICERT's Accreditation Certificate took place. This Certificate makes EMICERT the first worldwide (and the one by now) accredited Shipping MRV Verifier. The awarding of the Certificate made by Mr. G. Kallergis, Bodies Accreditation Director of ESYD, who recognized the success of EMICERT to the timely preparation, utilizing the specialized 11-year experience in CO2 verification. Finally, one of the points highlighted during the seminar was the special importance of the timely and proper preparation by all involved parties (ESYD, as the National Accreditation Body - Verifiers - Shipping companies) for Greek shipping, in order to meet on time (within the next 7 months) the obligations of the Greek-owned fleet.